2019 summer camp will be held 8th-12th and games in summer. Camp Flyer HERE. Sign up NOW! 2019 Program goal is for 100% contribution rate. Order is ready to distribute. Spirit Fees need to be collected for your to receive product. Extra Pants are $45 and can be ordered on your own. Order your apparel and it will be delivered to you! Gear will arrive before holidays if placed before 12/15. Please place orders direct and pay within the store. Easy and convenient. Store will be open for a few months. On May 19th, HBHS Softball has partnered with FCA Baseball to conduct a whiffle ball game at the OC Rescue Mission in Tustin. This event is optional for players, but should be great value playing with the youngsters at the mission. The have not had female athletes to look up to and we can make an impact. Our girls will get community service hours. Time is 1:45-4:00. More details to follow. Season info, schedules, stats and information! 2018 FINAL Varsity Softball Rankings! Congrats to So. Grace Uribe for being named Female Athlete of the Week! Oilers open #3 in Orange County, #6 in State and #6 in USA! Go Oilers! OC #3. 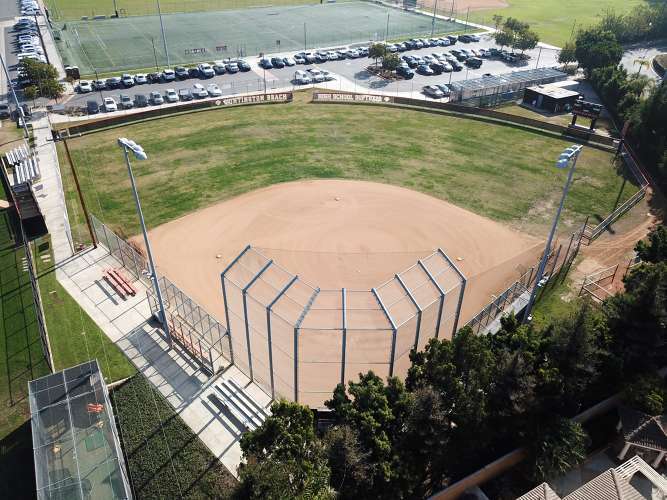 Huntington Beach: Center fielder Jadelyn Allchin leads nine college-bound seniors on a team that reached the Division 1 quarterfinals last season. The 2018 Sunset League co-champion needs to solidify the left side of its infield defense but returns Grace Uribe and Devyn Greer in the circle. There’s a lot to like about the Oilers, who have several elite returnees from a squad that got one win against Los Alamitos in the Sunset League and went extra innings with Norco in the CIFSS D1 playoffs. It begins with shortstop Jadelyn Allchin, headed to Washington with All-American credentials. She also had five homers and 39 RBI with a .406 average in 2018. Huntington Beach also has No. 1 pitcher Grace Uribe (Texas A&M commit). In her sophomore season, Uribe had a 1.53 ERA. Sophomore slugger Devyn Greer (six homers, .368) is another among those returning. Congrats to our own 19' Jadelyn Allchin for making the USA Junior Training Team! Way to represent HBHS Softball! Coach Jeff Forsberg was named "Champion for Character" by CIF Southern Section for the 2017/2018. This was a program award as the student athletes that are playing Softball at HBHS, current and past, clearly define the character of the program and all need to be awarded. Congrats to senior Allee Bunker who was named All-CI, D1 for 2018. Congrats to senior's Allee Bunker, Kelli Kufta, Jadelyn Allchin, Grace Uribe and Devyn Greer for being named to the 1st Team Dream Team for the LA Times, and Kelly Ryono was named to the 2nd Team. Coach Jeff Forsberg was named 2018 Coach of the Year. Kelli Kufta and Jadelyn Allchin named to 1st team and Grace Uribe and Allee Bunker named to 2nd team! 2018 OC All Star Gme Selections! Congrats to senior's Allee Bunker and Kelli Kufta for being selected to the Orange County Coaches All Star Game and PGF OC vs Riverside All Star Game. 2018, 2017, 2016, 2015, 2014, 2013, 2010, 2008, 1996, 1991. Congratulations to our 18' SENIORS! Allee Bunker, Kelli Kufta and Erin Greenlaw. CONGRATULATIONS to Team Bunker for winning the 2017 BWO (17' rosters) Championship! Team went 4-1 and had great games throughout the month of Dec to win the title! Nice job Allee and team. HBHS Softball is now a 501(c)(3) organization and all donations are tax deductible! Anna Kufta, Alyssa Horeczko and Kristina Inouye representing HBHS! Varsity finishes 2nd for the first time in school history. Congrats to varsity for going 4-0 and winning the tournament! Congrats to JV for going 4-0 and winning the tournament! Congrats to varsity for going 4-0 and winning the tournament back to back!